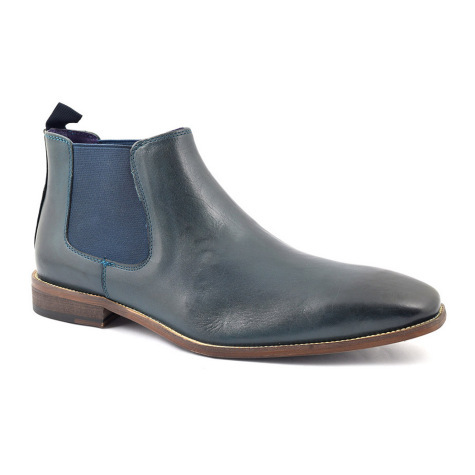 A navy blue chelsea boot with navy side gusset. 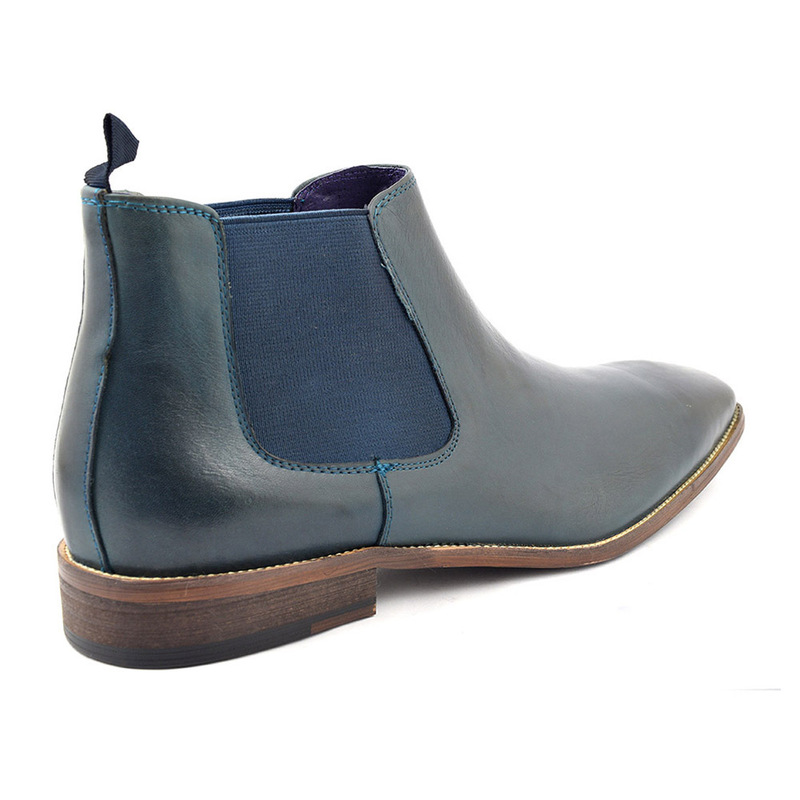 A simply lovely boot in a navy blue to add a little contrast to your collection. Stitching to the outer sole adds an artisan feel to this classic chelsea boot. Fancy a change from black and brown boots? Well here you have it. This mens navy chelsea boot is a a great surrogate for the aforementioned colours. 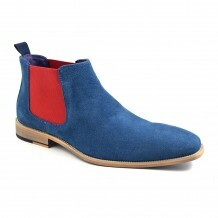 The blue on these chelsea boots is modern and this is reinforced with the silhouette of the boot. 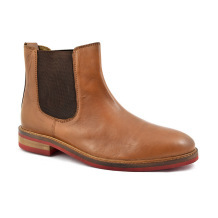 The side elastic and pull up tab are indicative of the chelsea boot. The heel is refined with a stacking detail which gives a hint of designer. 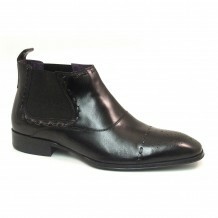 There is stitching to the outer sole which lends a handmade feel. We can date this boot style back to Queen Victoria who found the comfort of the elastic a joy and led to the maker, J. Sparkes Hall patenting the idea of a side elasticated boot. Although they became walking boots for gentlemen, they became truly iconic in the 50s and 60s. Stars of the stage, rock stars and film stars all wore them with verve. Underground groups took to them with the likes of the mods and they rocked a crisp look in their suits and chelsea boots. 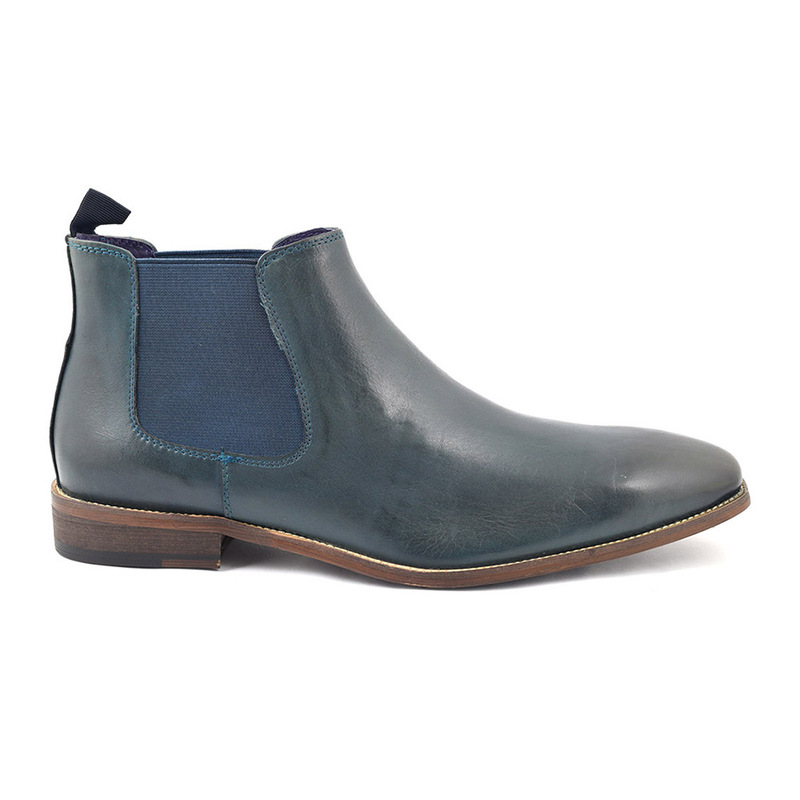 We feel these blue chelsea boots for men are a modern classic. They are an original colour for a boot and have simple lines yet have character. We can see them with a suit or formal wear and also with more relaxed attire. They are original in design and will compliment your wardrobe like no other chelsea boot. This is because they will stand out due to the fact they are a beautiful blue/navy. 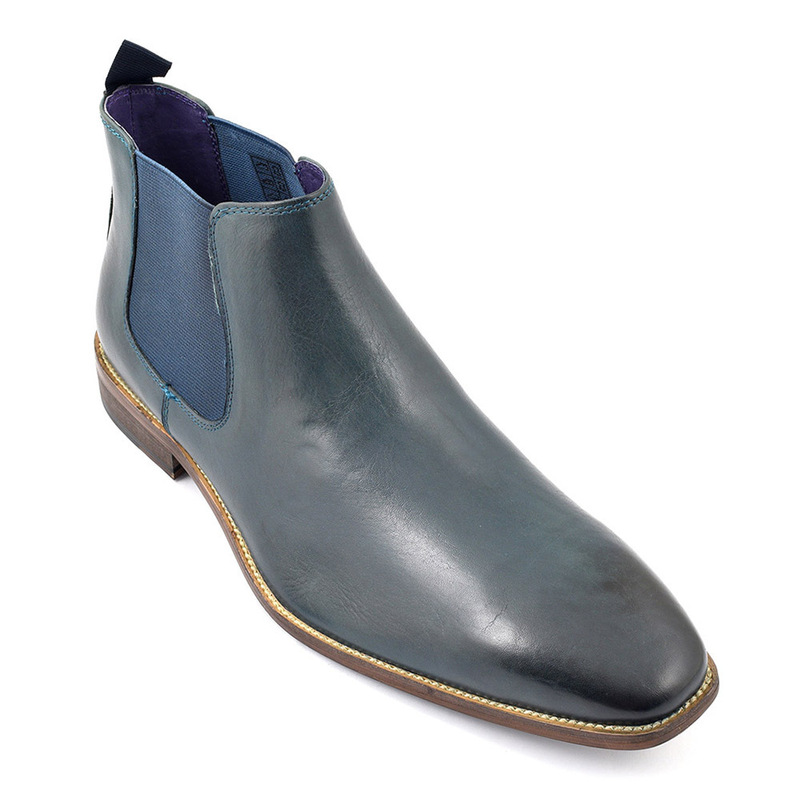 They are elegant and the colour is classic so enjoy these navy chelsea boots with much in your wardrobe. We love them. 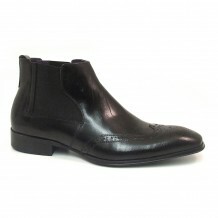 Be the first to review “Ervin Navy Chelsea Boot” Click here to cancel reply.